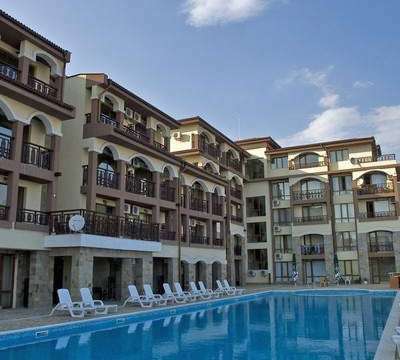 Panorama Bay Complex is a lovely complex located just outside the town of St. Vlas and only a short drive from the large holiday resort of Sunny Beach. The complex has 72 apartments with great facilities and is set in a peaceful, quiet area, perfect for families. 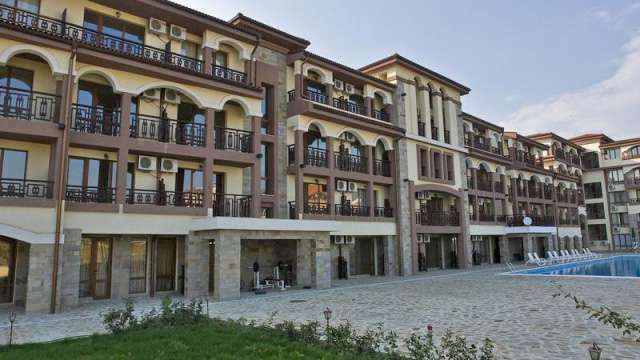 The apartment for sale in St. Vlas comprises an open plan lounge with dining area, a fully fitted kitchen, a double bedroom and a family bathroom. There is a private balcony with views of the sea and the swimming pool. The beach is 400 m away and the central square in the village with its lovely cafes, bars and restaurants is only 500 m from the complex. The bus stop is close by and there is a regular taxi service if you wish to go to Sunny Beach and the ancient town of Nessebar. Panorama Bay Complex has a great management and maintenance team ensuring the apartments and grounds are in great condition. 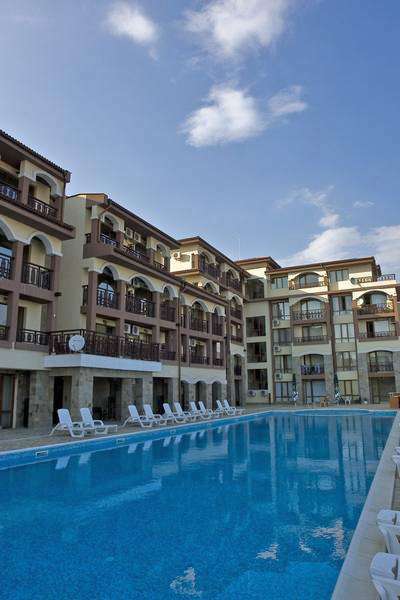 A great investment property to buy in Bulgaria with excellent rental potential.